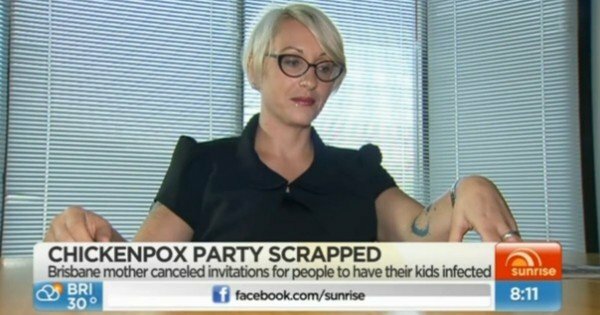 Sunrise chicken pox party organiser's trainwreck interview. The interview started out like many others on a breakfast TV show. A bright sunny live cross. A groomed woman. Notes visible in her hands to read from. A few nerves. But from about 25 seconds in, you realise this is no ordinary interview. This is about to become a trainwreck. Yesterday Sunrise made the decision to interview a vaccination refuser for five prime-time minutes. 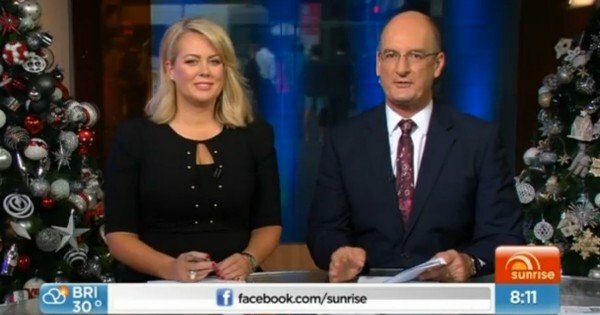 Holly Singleton appeared on Sunrise yesterday. 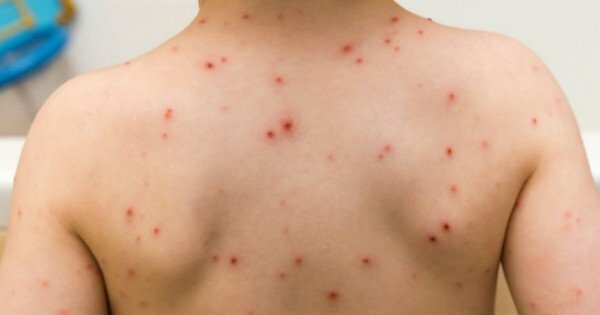 The hook for the yarn was the fact that this particular “Mum” organised a “chicken pox party” with the intention of infecting other willing children with the disease. They gifted her valuable breakfast television minutes to explain why she would choose to hold a chicken pox party and to read her “facts” from her notes, which she later admitted she got online. We won’t go into the details of her claims, here, as Ms Singleton has been given enough of a platform already. But you can watch the interview here. Strap yourself in. The highlight is where David Koch asks whether she has any medical qualifications “or do you just google”? And Sam Armytage gives it a red hot go when interrogating the woman on whether she has vaccinated her children against other deadly diseases like polio or whooping cough. And spoiler alert… what has been obvious the whole time, this woman is then forced to admit on live TV. No, she has not vaccinated any of her children against anything. She is a vaccine refuser. A vaccine denier. A person choosing to put other innocent lives at risk. And so it becomes apparent that one of the highest-rating breakfast shows in the country has just given a vaccine denier a huge microphone direct to her key target market. “Each to their own” Kochie finishes it up with. Well no, actually. Not when it comes to vaccination. I understand this is good TV. It is gripping. It was a cracker. The hosts did a good job of questioning this woman. But she should not have been there. When people like this end up on shows like Sunrise it normalises their extreme, dangerous views that cause physical harm to innocent humans. Sometimes the humans they physically harm are the most vulnerable in our society, like newborn babies, the elderly, the immune compromised. Sunrise is not the only show or media outlet that at times has given vaccine refusers a voice. And they tried very hard to make this woman look uninformed. We would not accept a situation where a parent was given air time to explain why they don’t buckle their kids’ seat belts when they drive down a highway at 110km per hour. We would not cop a father being allowed to explain on TV why he walked into a bottle shop and bought his 12-year-old son a bottle of bourbon to consume. We would not stand for a mother being given time to justify why she smokes while she is pregnant. We would not bear a man who had assaulted a child or a woman being given a platform to explain why he thinks what he did was okay. When it comes to vaccines, there is no debate to be had. Image via iStock. When you are physically harming someone else, your personal choice is not OK. There is no other side to this argument. There is just not. We are so VERY PAST that now. In my view there is a limit to free speech when it comes to vaccination. And I think the media need to start actively acknowledging that. There is no need for the media to exercise journalistic ethics and provide an opposing comment for the audience on this matter. You vaccinate your children because choosing not to is a form of abuse. 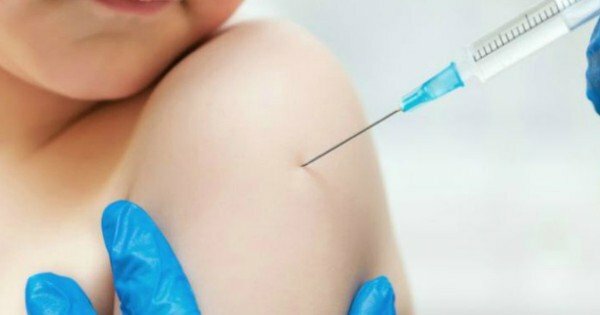 It is time to say to the vaccine refusers out there: Please just stop. We are so over it. We are so tired of being tormented by your dangerous decisions. We don’t want to be scared any more about taking our babies out in public places because one of you could be there. We do not want to hear your deadly propaganda. It is extremist. You are extreme. You have made a very bad decision. A decision that could kill your child or someone else’s child. It is time to reconsider. We are so exhausted from trying to be polite about it. What you are doing is endangering the health and safety of our society. It is time for you to stop. 87 years ago today my Grandmother’s baby brother died in a rural Queensland hospital of what is now a vaccine preventable disease. His name was Colin Jenkins. He was 14 months old. May his tiny soul rest in peace. 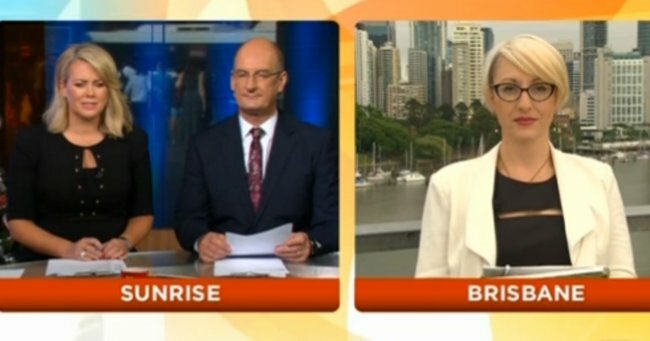 Do you think it was fine for Sunrise to interview the anti-vaxxer.